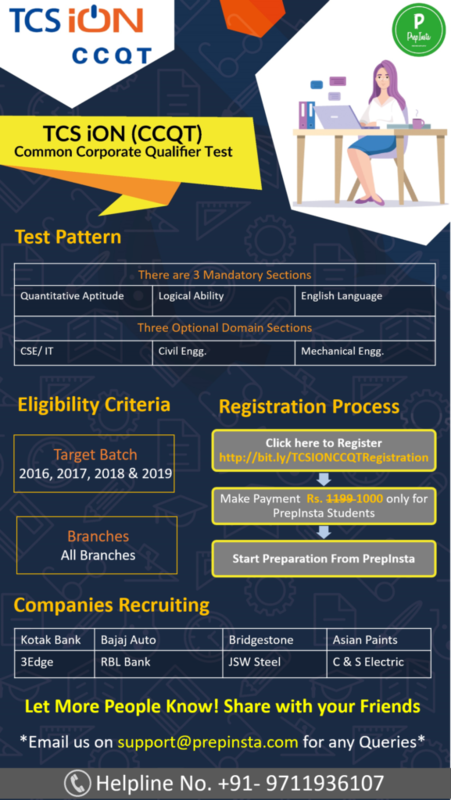 The registration for TCS iON CCQT can be done on our PrepInsta website itself. TCS iON has partnered with hundreds of companies for a single offcampus exam for all of them. Once you get a good percentile in CCQT, Companies will be recruiting on the basis of your score card. You can read more about PrepInsta TCS iON CCQT here. You have to register for CCQT and make payment here, after making the payment. You will get option to fill out the form and choose test centers. CCQT has its test centers across 650+ major cities in India. Note – We have limited the number of applications only so that there are enough job opportunities for the applied candidates. 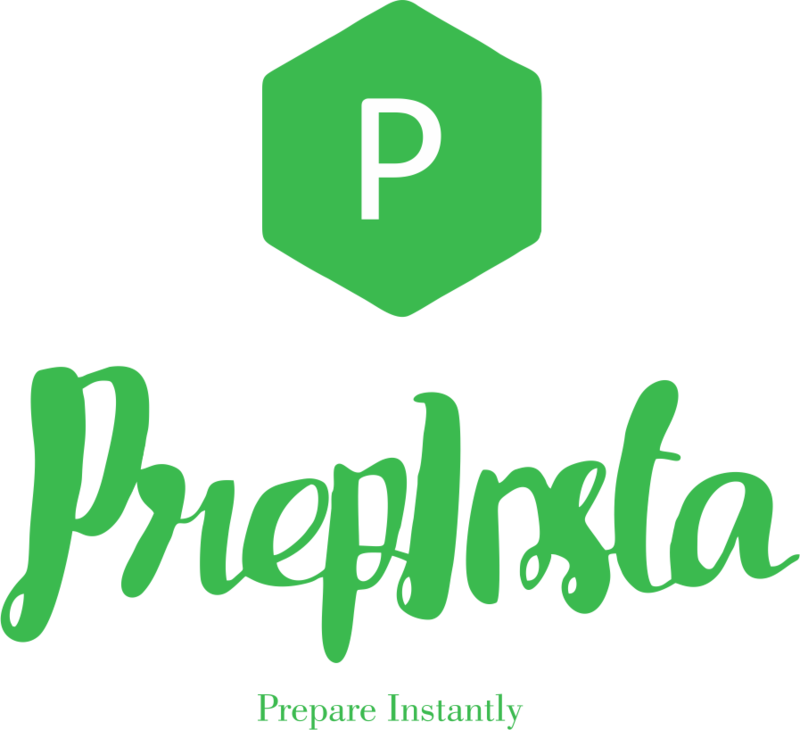 You will receive an email from PrepInsta regarding successful payment. Make sure that you check the email and fill out the registration form in the link sent to you via email. The date of exam is 30th June. We have online classes and materials for TCS iON preparation. The syllabus and questions are completely different from TCS, thus we suggest that you Prepare from freshly. Ques. I have two backlogs and less tha 50% in my class 12, can apply for the exam? Ans. Yes, there is no percentage and backlog criteria for the exam, everyone can apply. You just need to clear your backlogs before joining the company that selects you via TCS iON CCQT. Even, if you have any backlog at the time of giving the exam, then it’s not a problem. Ques. After getting selected in TCS iOn CCQT exam, how will be the process of interview? Ans. There will be 1 more round that is video interview this exam you can take from home all you need is a laptop or desktop with working microphone and camera and you need to answer questions in English that are displayed on screen. Post that based on your scores in written round and this video interview rounds, different companies will call you to their campuses for final interviews. Ques. I am a BBA Student graduating this and specifically looking for jobs in the finance sector. Will this help? Ans. Yes, definitely this exam is for everyone engineers, BA, BSC, CA, MCA, BBA, MBA etc etc. Based on your scores in the test different companies will try to hire you and many banking and finance companies like RBL Bank, Kotak Bank etc etc and other hundreds of companies are there for you. Don’t worry. Ques. What will happen after the payment?